There have been three main debates around the mining industry in the last few years. One has been on state versus private ownership, the second has been on lack of adequate regulation and the third has been on the mining impact on local communities and their benefits. 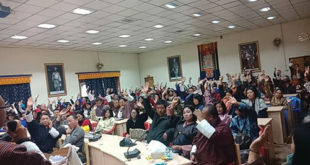 The final draft of the Mines and Minerals Bill of Bhutan 2020 addresses the above three issues and more, bringing in several new clauses or enhancing the old ones. It will not only replace the current Mines and Minerals Management Act 1995, but it also aims to provide a robust and updated legal and regulatory structure to the entire sector. The National Council, in the past had called for a near nationalization of the mining sector. The current position of the Druk Holding and Investments (DHI) is that mining is a natural resource and so they should get preference and ownership of major mines through the State Mining Corporation Limited (SMCL). The Mining Bill attempts to take a middle path approach where private sector participation will continue and be more enhanced in the area of exploration, but it will all be in a more regulated and well defined manner with a clear set of obligations. The bill also leaves the door open for a government role, especially in the case of strategic minerals. The Bill says that the government shall encourage and promote broad based participation in mining as provided under this Act. This section means both private ownership as well as floating of more shares to the public or local community. It also says that all mineral reserves proven by the Department shall be allocated through public notification and sealed or open competitive bidding process. 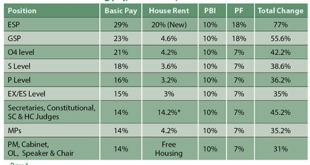 Both the above provisions mean that there will be private sector participation. How it is to be precisely done, will be left to the ‘Mines Allocation Framework’ which will be established in the Rules and Regulations. Including the allocation framework in the rules and not the bill is to avoid MPs from using it to bring in any potential nationalization provisions. A new Chapter (4) called ‘mineral prospecting and exploration’ goes further and lays out a system of giving prospecting licenses to the private sector to prospect for mines. It says that an exploration license holder shall have the priority right to apply for mining rights of the permissible mineral explored within the permitted area, subject to submission of detailed exploration report. However, the chapter says that the discovery of any strategic minerals and fossil specimen in the process of prospecting or exploration of permitted minerals shall be reported to the Department for compensation, collaboration or for development or as may be determined by the Ministry. This clause leaves the door open for government ownership of strategic minerals. The government has to come up with the list and define the government’s role in them. 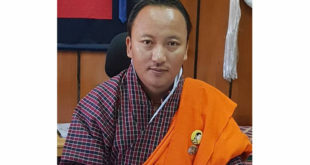 An official in the government said the ‘nationalization’ of mines is not a workable idea given past experiences in Bhutan and also global examples. He said the government in the past had tried to operate mines, but all of them had failed miserably and had to be privatized. He gave the example of formerly government operated Gypsum mines in Pemagatshel, RICBL operated Marble Mines in Bjemina, a former Slate mine in Wangdi and also the more recent failure of NRDCL with stone quarries that resulted in around nu 400 mn worth of losses. The DHI has pointed to the profitability of it’s SMCL. Here the official said a detailed audit should be done to ascertain the level of profitability. The official said that one of the main reasons that SMCL is making profit is due to the fact that it does not have to pay license fees like private operators. The official said that SMCL in the case of two coal mines paid only a part of the license fees to S.D Eastern whose license is expiring anyway in 2019. “S.D Eastern would never have mined those areas as their lease was expiring and we could have auctioned it for a much higher license fee to other private operators but SMCL got it for a very low fee,” said the official. The official said that nationalization of mines or giving it only to government companies would create a big monopoly in the mining sector which is not healthy. One argument of those in favour of more government control is how a few families or individuals have become enormously rich. While transparency is an issue, people in the mining industry have pointed to the government’s convoluted procurement process where the same mining equipment is procured at much higher cost. They have also pointed to how government officials in certain other SOEs make the companies use their own trucks and equipment registered in the names of family members. A miner said that a private miner will never allow these inefficiencies and leakages. One criticism of the mining sector has been the lack of adequate monitoring that allows mines to get away with illegal or unethical practices. The cause of the problem in the past has been identified in the form of lack of adequate manpower and also the fact that the same department responsible for developing and promoting mining is also responsible for regulating it. With the aim ensuring stronger regulation and accountability, the Bill sets up an autonomous Mining Regulatory Authority (MRA) which will focus mainly on regulating the mining sector by ensuring that they are following the laws and practicing good mining practices. The Authority has been given powers to search, seize, levy fines and take other necessary action. It will assess, levy, collect and audit mineral royalty, levies, fees, charges and rents on time, monitor import and export of minerals, maintain statistics, documents, maps and appropriate technical and financial records of all permits and leases and disseminate information on mining, surface collection and fossicking. One issue as been mines to having adequate technical professionals. The Bill mandates a mining manager with technical skills to reside near the mines. The MRA will also check and ensure that the mines have adequate technical personnel. The DGM will have special unit called the Mineral Rights Cadastre based on international good practices that will receive and process mining applications. An official said that the Mining Bill will reduce the long time taken to process a mine. To allow for flexibility and keep the sector viable the Bill, for the first time, allows the transfer of mining rights based on due process through the Mineral Rights Cadastre. producing geological maps, carry out prospecting and exploration of priority minerals, issue prospecting and exploration license, issue Mining Rights Certificate for new mines and renewal thereof, list, review and update strategic minerals and reserves whenever necessary etc. The Bill also goes into the obligations of the miners or lessee in terms of carrying out mining as per the mine plan and environmental and social risk management, keeping accurate financial records, carrying out reclamation work and others. The Bill also well defined offences and major, administrative and criminal categories and relevant penalties and actions with the last category to be dealt by the RBP. If a miner is found mining outside his or her area for the third time, then the lease will be cancelled. Mining rights can also be terminated for repeated violations. The current Act has a mine restoration bond which can be given back once a miner reclaims the area or the bond can be used to do so. However, this bond did not earn any interest. The new Bill instead has a fund which will be put in a savings account and the interest accrued. The Mining Bill has a new chapter called ‘community engagement and development,’ which focuses on the much debated issue of community development. This section says that the miner shall provide preference to the eligible affected community for employment opportunities and procurement of goods and services. It, importantly says that the affected community shall be granted priority to buy equity stake in the mining company to realize the principle of broad based ownership. The Act says that the affected community shall be compensated through benefit sharing scheme as per the Rules and Regulations. It will also have access to social infrastructure developed by the mine and other infrastructures such as medical facilities, road and water supply. The Act says that the Authority shall formulate a Community Development Agreement for leased mine prescribing the Benefit Sharing Scheme for the communities. The Mining Authority will also create and manage Community Development Fund for leased mines to fund activities under the Community Development Agreement. An official said that the miners were happy to cooperate and agree to the above sections. The Bill says that a person shall add value on the mineral before export- where it is technically and economically viable. This is an important provision which would discourage the export of raw minerals and instead would encourage industries or processing to come around them. The current act does not have this clause. A contentious issue going in between the DGM and the Department for Forest has been that both departments have jurisdiction over surface collection. This is because the Forest and Nature Conservation Act 1995 gives the Forest Department say over surface collection. This led to the Forest Department giving surface collection and dredging rights to many businesses in the south to collect and export boulders from river beds in winter, which otherwise gets washed down to India in summer. In return these businesses had to pay royalty and tax and also build river protection walls. Around 130 companies, 2500 trucks and 500 Bhutanese are employed in this sector which in 2018 formed the second largest export to Bangladesh. With the Forest Department and DGM clashing over who had rights to this, the cabinet recently announced that all new licenses would be frozen. The Bill now in a new chapter attempts to take sole control of surface collection through a new chapter called short term mining, surface collection, fossicking and artisanal mining. It says that a person shall submit an application for short term mining, surface collection, fossicking or artisanal mining rights to the Mineral Rights Cadastre in the format provided in the Rules and Regulations. It says that the Department may auction an identified surface collection or fossicking site where the market prospects are large. The bill also says, “That in all matters relating to mines and minerals, underground and on the surface, where any inconsistency exists between the provisions of this Act and the operation of any other Act, the provisions of this Act shall prevail,” giving this act supremacy. However, it remains to be seen if the Forest Department and the Cabinet will accept this clause.